This is to voice my sentiment concerning your recent election of Bob Lee to the Archery Hall of Fame. I do not personally know Bob but his impact to the sport is well known to me and I would venture to say Ben Pearson Sr. would express the same sentiment! Bob Lee will be an outstanding addition to the Hall! I congratulate the Hall for his election. Memory of His Father- Ernie Root By Lawrence Root. formal procedure or official check list of things required for his nomination? 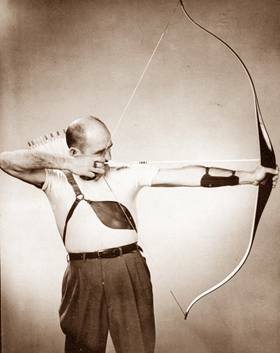 I'm looking for archival information and photos on the Winton Bowmen Archery Club that was active in Cincinnati, Ohio in the 1950's. Can you put me in contact with someone still living who knew Charlie Pierson? I belong to a traditional archery club, and would like to do an article in our club newsletter on when all archery was "traditional". I grew up in Greenhills (suburb of Cincinnati), so I'm dimly aware of an archery club being active before I was born. Thanks to Diane Miller, I just received my Spring/Summer issue of the Archery Icon. The purpose of this memo is to express my pleasure with the progress for The Archery Hall of Fame & Museum at Springfield, Missouri. A copy is being mailed to each Board member. 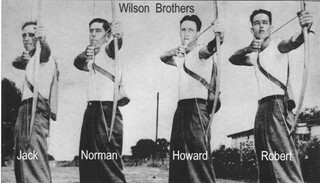 My name is Howard N. Wilson and the only surviving member of the Wilson Boys that included Norman, Jack and Bob. I was born and raised in Springfield 87 years ago this very date - now retired and reside in Sarasota. Florida. Archery was a passion as well as a business for we four boys and combined we won a number of State, Regional and National championships. I personally was a multiple winner of the Springfield, Missouri Ozark Archery Club as a Junior and then later as the Men's Champion. I also won a number of State titles including target and field championships as a Junior and in the Men's division. Combined with Norman, Jack and Bob and representing the Ozark Archery Club, we won the National Archery Association Team Championship three years and Jack and I placed first and second in the Men's Division. I may be the only person to have won a National Archery Association Dallin Medal as a Junior and Men's participant. They are proudly displayed on the wall in my den. Our entire family was involved in archery including our wives - Bob's wife, Chris Wilson was a Women's State Champion - and my sister, June, was a Junior Girl's Champion. 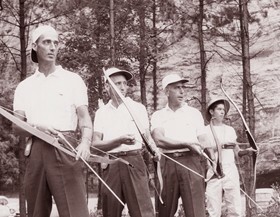 The Ozark Archery Club had a sizable membership with a fine archery range at Phelps Grove Park and hosted a number of tournaments during the 40's and 50'S. Spending so much time in competition, I think it was inevitable that we evolved into a full time archery manufacturing business with a line of Black Widow Bows. That business continues today under new ownership in Nixa, Missouri who have taken it to greater successes with continued improvements in technology. We've also been honored by the Missouri State Archery Association with the creation ol a Perpetual Wilson Boys Championship Trophy that is being awarded each year to the winners of the Men's, Women's and Junior Championship divisions. I , along with Chris Wilson, Bob Wilson's widow, was invited to present the first trophies at the 2005 Missouri State Championship held in Columbia, Missouri. Jim Noble, a Missouri State Archery Association officer has been kind enough send me names and photos of successive year's winners. In addition, The University of Missouri Museum of Anthropology requested that we contribute some memorabilia in the form of archery equipment and trophies we had won for their collection and display. They do have an impressive and interesting collection of archery artifacts from around the world that emanated from the Grayson Collection for a beginning. Anyone with an interest in archery would be richly rewarded with a visit to their facility. In addition to the display area, they have a warehouse of items that one can get permission to view. I worked with Mary French, Associate Curator for the donations we made at that time. Some of the above I related in more detail in an article I wrote for the US Archery News as requested by their Editor, Arlyne Rhode. Other references and records may be found in publications such as History of the National Archery Association, Volumes One and Two, and Archery Champions written by Robert Rhode. I was fortunate to enjoy relationships with manufacturing notables such as Earl Hoyt, Fred Bear, Ben Pearson, Doug Easton and others - - plus competition with a number of champion archers including Pat Chambers, Howard Hill, Larry Hughes, Russ Reynolds and many others. I treasured those relationships. When in High School, I was given the opportunity to perform with Russ Hoogerhyde during his demonstration of archery lour ol the country at High Schools and Colleges. My performance was brief but enjoyable. I present the above summary to reflect why I am so proud of the Archery Hall of hame & Museum progress at Springfield, Missouri - - my home town! Archery was a central part of my life and contributed a lot toward my learning about life in earlier years. Although in splendid health, at 87 years of age I no longer compete but have had the opportunity to introduce the sport to my grandchildren. I've lived a truly blessed life. Congratulations to all for your accomplishments that I know has taken much time and effort to develop. Will look forward to visiting your creation my next visit to Springfield. Floyd would have loved it. and trophies. I knew all of them except Allen. I shot in completion with Frank Gandy several times. Thanks again. I met Len Cardinale at Wa-Xo-Be Archers in South Brunswick, N. J. many times watching him coach some of my friends. What a gentleman he is! I had no idea that he rubbed elbows with historical greats in archery. He spoke with me kindly and as a friend. I am a lowly peasant but he treated me as an equal. I offer him sincere congratulations at his Archery Hall of Fame induction. I wish that this message from me would be relayed to him. We did make it to Springfield on the way home from Florida and did get to go through the Museum. Very impressive and sure glad we made the trip. In talking to the person at the door, who was a archer himself and had a number of the bows I designed for Herter's, said that over 80,000 have gone through the AHOF Museum since November. I took care of Babe in her later days. She was a wonderful wonderful sweet and kind person. A natural teacher.. I will never forget her. Thanks for the wonderful calendar you sent with all those great photos. I really miss my old friends in archery of those that are still living. The years go really fast and so do lives. Have a great holiday season. Thank you so much for your kind words regarding my Mom's induction into the Hall of Fame. It was a true Highlight for her and a wonderful recognition of her accomplishments as one of the true Champions of the Sport. For me it was a very welcome surprise. I was not expecting such an amazingly professional and well executed event and venue. It is clear that a great deal of thought, work and professional consideration has gone into the establishment of the Hall of Fame and Museum. Having been away from the sport for some 40 years it was amazing to me to be exposed to it again. It is apparent that you have played a key role in where the Hall of Fame and Museum is today. If anything you should take great pride in what it is bringing to people like my Mom. I take great pride in saying that I am Ann Butz's Daughter, the one that was always running around at all of the tournaments!! I was a member of the Lake Parsipany Bowmen of NJ. 1950 intermediate Team champions at Franklin Marshall college PA. I recall Jean Lee being women's Champ and Anne Corby second. Ann's husband Lloyd Corby was third in the Men's championship as I remember . I grew up with the Weber's, Corbys. We sat at the same champions table at Springfield College Ma. late 1940's thru 1956 where the Eastern States Championships were held.. Anne was a saleslady for Robin hood Archery, Montclair NJ. Our Club was 20 members. Would love to see mention of Harold Taylor, Wife Gertrude Taylor founders and coaches of the Lake Parsippany Bowmen 6 yr Eastern archery assn., NY, NJ, PA Metropolitan and New Jersey champs. Myself and many other club members were individual Target, Field, Clout, and Flight Champions We also Competed Weekly. Do you remember 1961 National Field Champion, Lon Stanton? This letter was recently received Lon Stanton's granddaughter. My husband & I took our four children to Bass Pro in Springfield, MO on Saturday, Sept. 3 and were very excited to see your Archery display! It was very well done and very informative and we can't wait to see it in its entirety. 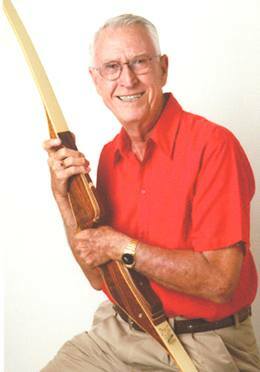 Thank you for keeping the history of archery alive!